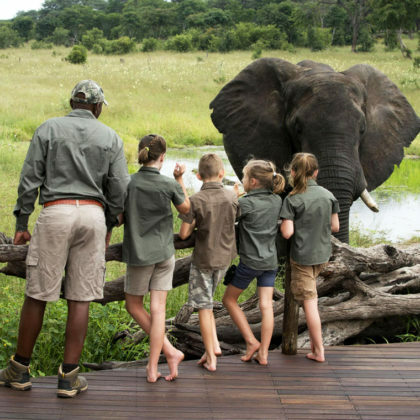 This luxury family safari will allow you and your family to enjoy the best wildlife viewing in the Okavango in Botswana. 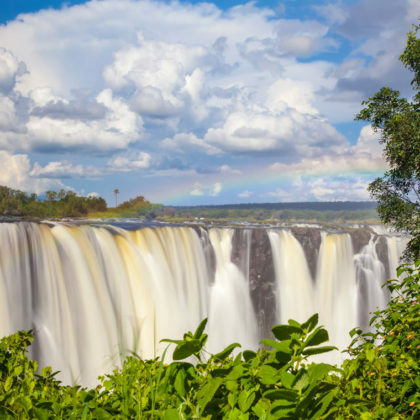 Take in the spectacle of the Victoria Falls in Zimbabwe and delight in learning the secrets of the bush while in Hwange National Park, Zimbabwe. On arrival into Maun, you will be met and transferred by private charter to Khwai Airstrip. Upon your arrival at Khwai airstrip you will game to Khwai Tented Family Camp for the next three nights of your safari adventure. This being a community concession, guests are privy to night drives which are usually not permitted in the National Parks or Game Reserve. Exploring after dark with spotlights offers you an opportunity to experience some of the nocturnal animals that are rarely encountered during the day. There is the added opportunity to explore the surrounding wilderness on foot and enjoy an up close personal encounter with the varied flora and fauna in the area. The vegetation here is quite different from the Western section of Moremi where great stands of leadwood and mopane woodlands occur in close proximity to open grasslands and the Khwai River. 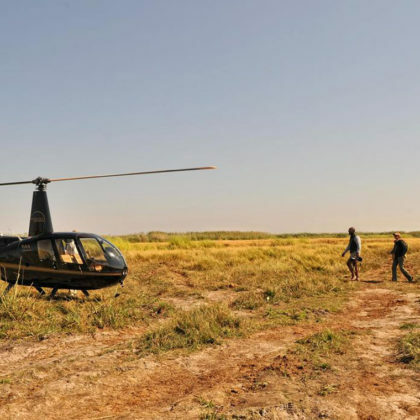 After an early morning activity at Khwai Tented Family Camp you will game drive through to the airstrip where you will connect with your charter flight to Saile airstrip. Enjoy a game drive through the Chobe Enclave to Linyanti Ebony Family Camp for the next three nights of your safari adventure. 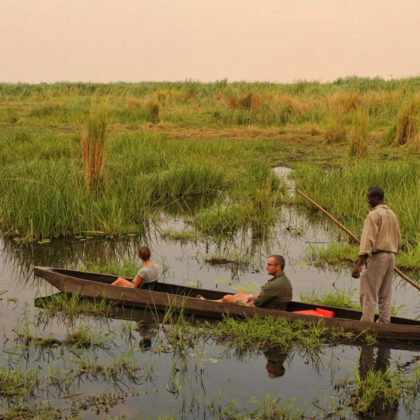 Head out boating and fishing along the recently replenished water lagoons, and mokoro excursions are all activities on offer to provide you the opportunity to enjoy this unique riverscape up close. Enjoy gathering as a family around the campfire to enjoy your meals out in the open air. Linyanti is best known for its large populations of Elephant and buffalo that congregate in vast numbers especially during the dry season. 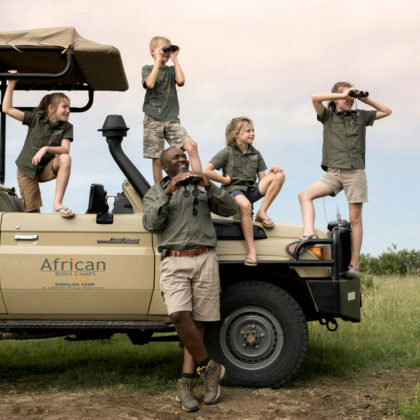 Other wildlife encounters include Lion, sable, roan, leopard, wild dog, the rare and elusive sitatunga antelope, red lechwe, hippo and crocodile, as well as other species of plains game. 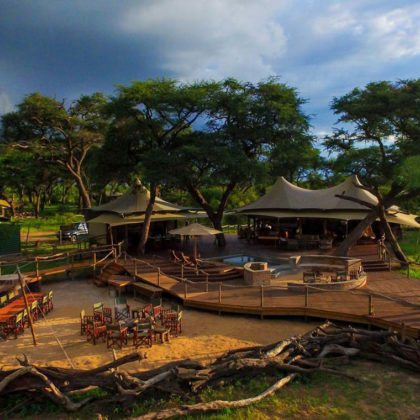 After a delightful activity at Linyanti Ebony Camp, you will game drive through to the Saile airstrip for your charter flight to Kasane Airport, from where you will be transferred by road to Victoria Falls Safari Lodge where you’ll spend 2 nights on a bed and breakfast basis. 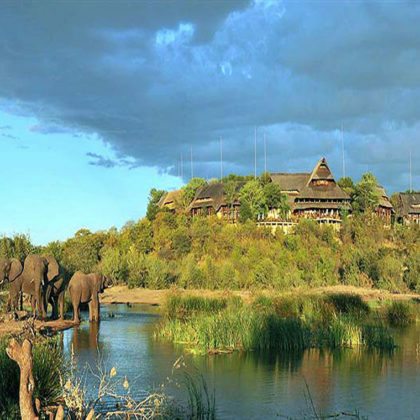 The Victoria Falls Safari Lodge is a luxury haven in an un-spoilt area of Zimbabwe. 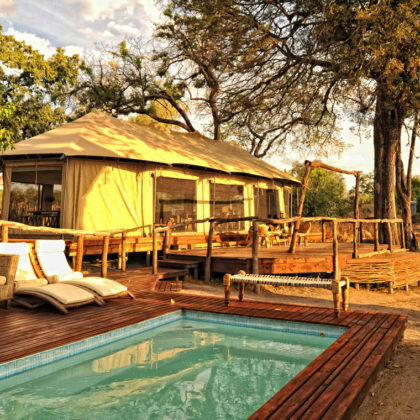 The property is set high on a plateau overlooking the Zambezi National Park, and a mere 3km from the Victoria Falls. The views from the lodge are spectacular and a great variety of wildlife can be spotted at and around the nearby waterhole. After breakfast you will be transferred to Victoria Falls Airport from where you’ll jump aboard a charter flight to Hwange for 3 nights at Somalisa Acacia Family Camp Positioned alongside the famous Somalisa Camp, known as ‘the home of the elephants’, this charming camp caters for an intimate gathering of only 8 people. 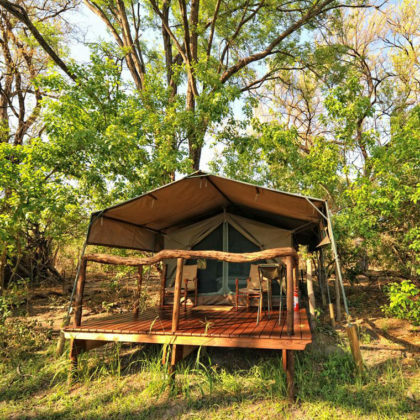 All the simple but luxurious tents are on slightly raised decks, under the dappled canopy of a grove of Acacias on the western side of Somalisa. 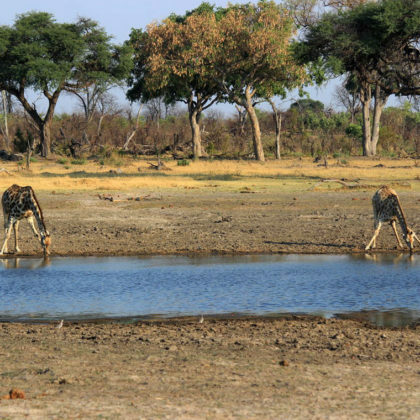 The camp enjoys its own private views of a small water hole, frequented by large herds of big game including buffalo, elephant, kudu, zebra, giraffe, and even lion. A small splash pool allows you to cool off during the heat of the day. 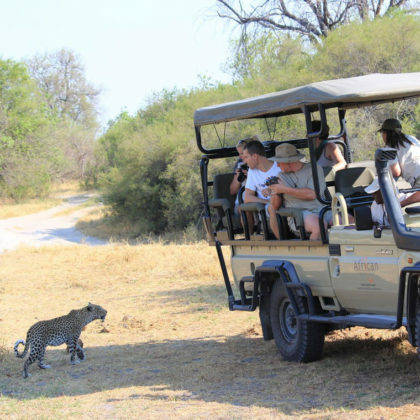 Activities include guided walks lead by qualified and passionate guides who will share their knowledge and love of the bush with you, game drives and night drives. 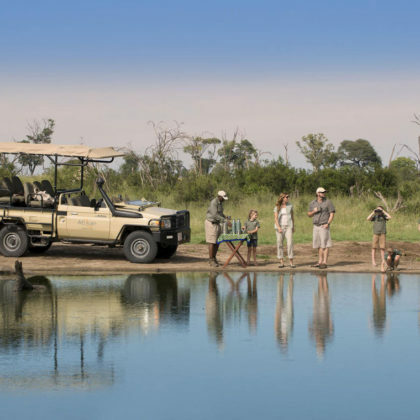 After your last morning in Hwange National Park you will be transferred by a scheduled shared charter to Victoria Falls Airport for your onward travel arrangements.